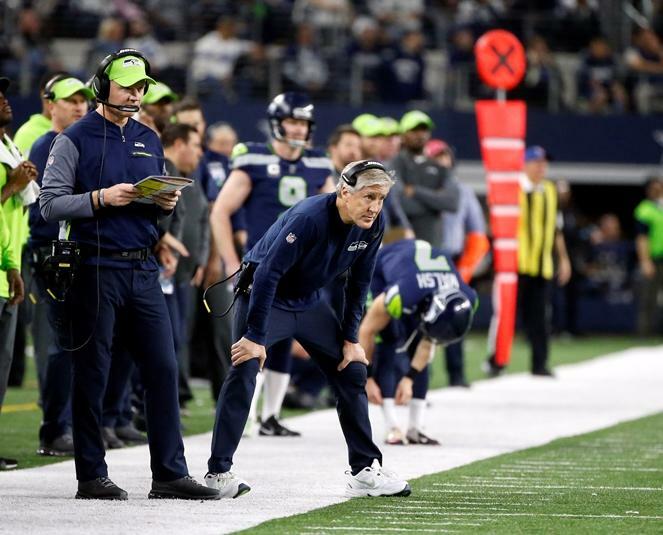 Seahawks head coach Pete Carroll looks toward the field from the sideline while playing the Dallas Cowboys during an NFL football game, Sunday, Dec. 24, 2017, in Arlington, Texas. The Seahawks have hired three new assistant coaches. The positions were filled just weeks after the team failed to make the playoffs for the first time in six years. 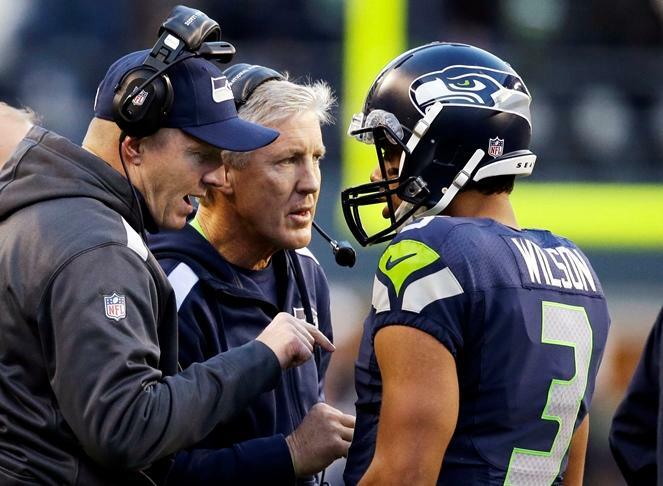 KNKX sports commentator Art Thiel talked with Morning Edition host Kirsten Kendrick about the changes and what’s at stake for head coach Pete Carroll. The Seahawks have hired Brian Schottenheimer as offensive coordinator, Ken Norton Jr. as defensive coordinator and Mike Solari as offensive line coach. Both Norton and Solari have worked for the team in the past. Thiel said they have their work cut out for them in a short amount of time to get ready for free agency and the draft. "Once these coaches have their assistants in place, then they are going to put fresh eyes to the holdover talents and try to see what can happen with adding people in the draft," Thiel said. "The problem is the Seahawks don't have a second- or third-round draft choice right now, as it stands." "The only way to get draft choices it to trade quality, veteran players such as Earl Thomas. 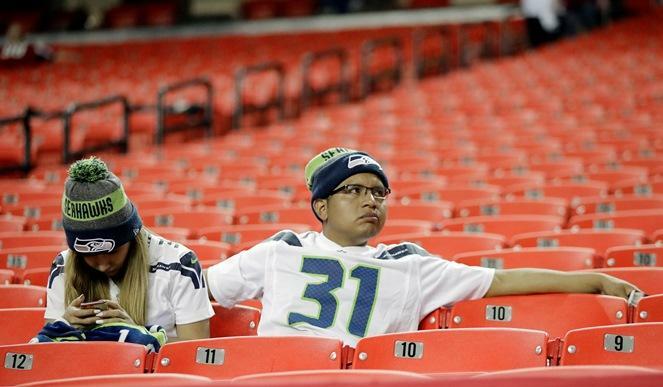 The Seahawks have to get their contract salaries down." "So, that is a lot of change going on. Basically, it's like trying to change a tire while the car is running." "Carroll has only two years left. And if he doesn't get it done this next year, he may not be around for the second year of his contract, which is over in 2019." "That's why I think this is the most ambitious thing that Pete Carroll has ever attempted in his Seahawks career." The Seahawks have begun cleaning house after a season in which they missed the playoffs for the first time in six years. KNKX sports commentator Art Thiel talked with Morning Edition Host Kirsten Kendrick about what happened this week and what’s to come.